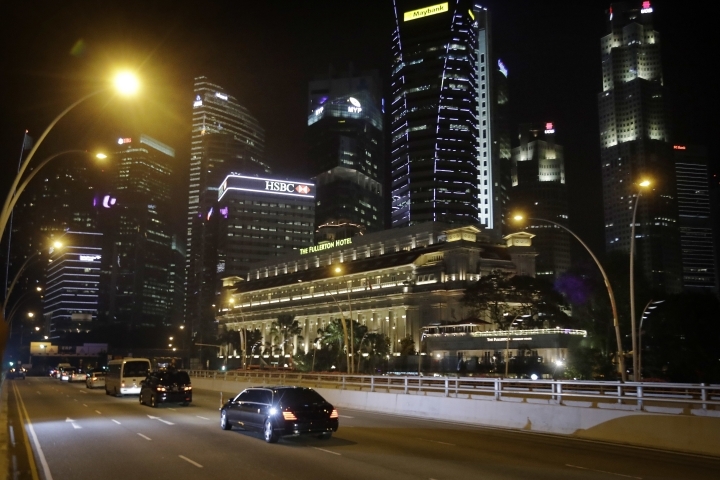 SINGAPORE — North Korean leader Kim Jong Un left his luxurious hotel for a late-night city tour of Singapore on Monday, just hours ahead of his historic summit with U.S. President Donald Trump. 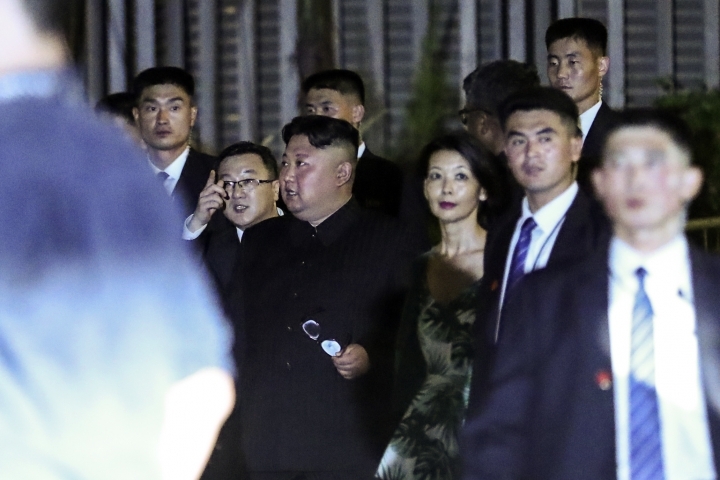 Kim spent much of the day out of public view, sparking media speculation he was planning his strategy for the Tuesday summit with Trump. 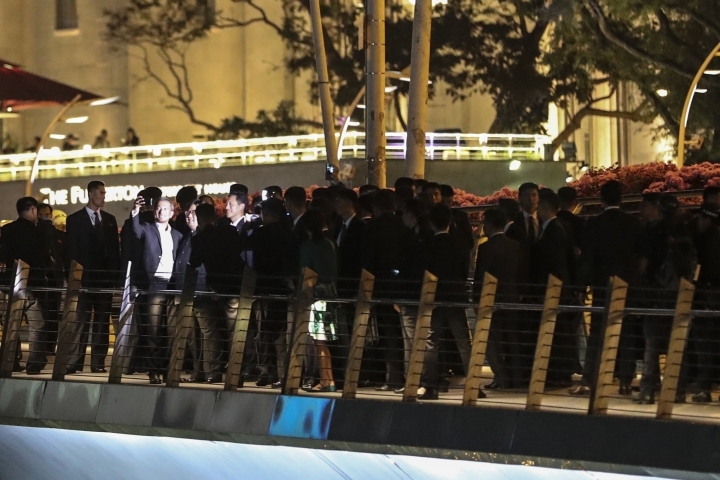 But in the evening, he left the St. Regis hotel and visited the Flower Dome at Gardens by the Bay with Singaporean Foreign Minister Vivian Balakrishnan. 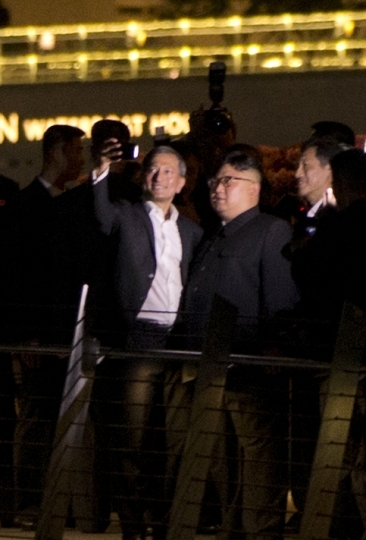 The foreign minister posted a selfie of him and a smiling Kim wearing his trademark dark Mao suit on Facebook. 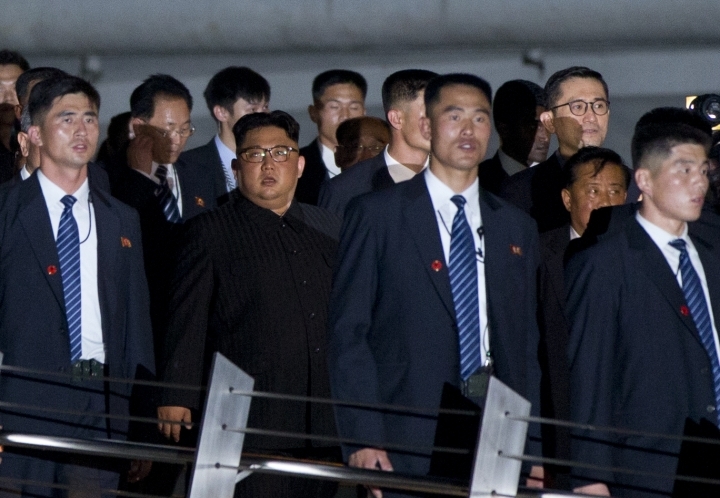 Flanked by bodyguards, Kim also visited the Marina Bay Sands resort. 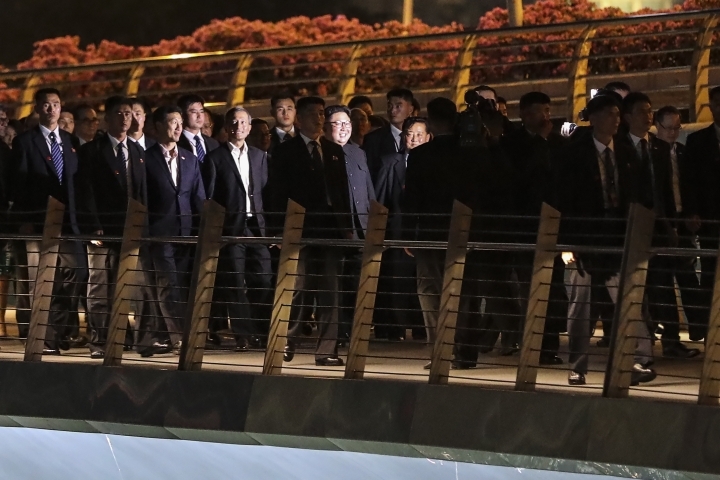 Some experts said Kim's city tour suggests that North Korea and the U.S. had narrowed their differences ahead of the summit. Earlier Monday, senior diplomats from the two countries met at a hotel to make final preparations for the summit. Kim is to meet Trump on Tuesday morning to discuss the future of his nuclear program. It would be the first meeting between a sitting U.S. president and a North Korean leader since the end of the 1950-53 Korean War. 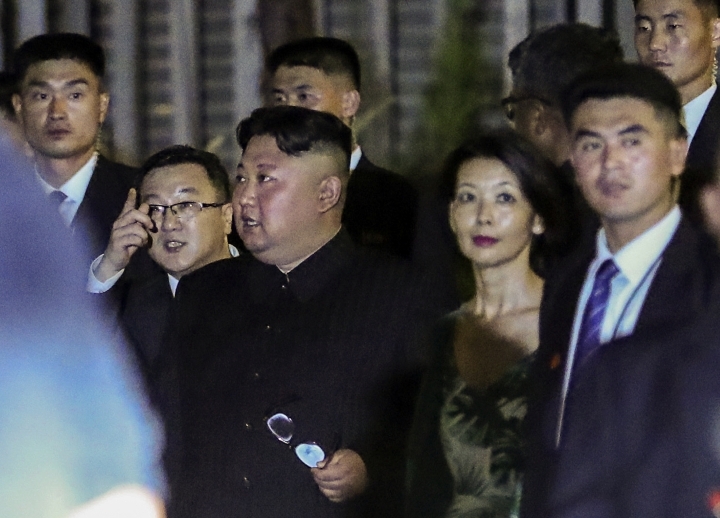 Kim has offered to deal away his nuclear arsenal but doubts remain over whether he is truly willing to give up his nukes or is using the summit to weaken U.S.-led sanctions against his country. 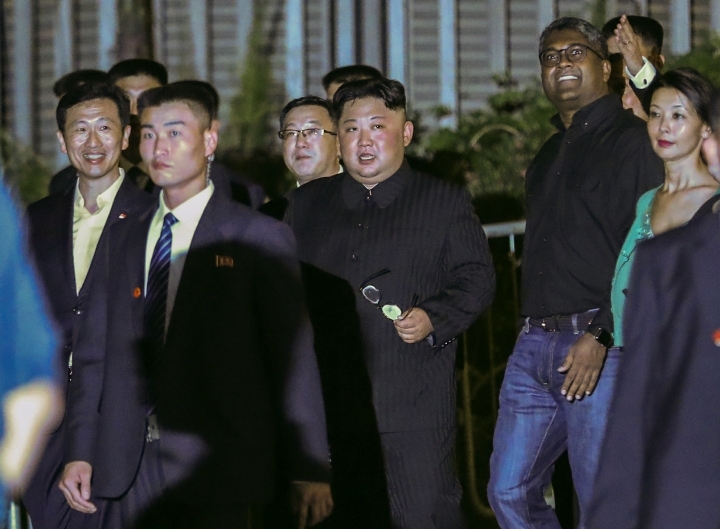 The White House announced Monday that Trump will leave Singapore earlier than originally planned, saying negotiations with North Korea have moved "more quickly than expected." Trump had been scheduled to fly back to Washington on Wednesday morning after spending Tuesday with Kim. But the White House said he will instead leave at about 8 p.m. on Tuesday —almost 15 hours earlier.